Rita this scarecrow image is just incredible. I love how beautifully you colored it. Just fabulous. This is just wonderful. Great job on the sketch this week. 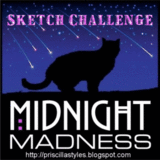 Thank you so much for playing along with us at the Midnight Madness Sketch Challenge. 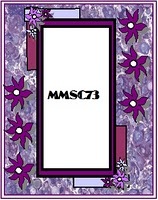 Cute card - pretty colors. 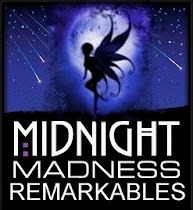 Congratulations on winning our Remarkable award! I am creating a gallery on Facebook with all of our Remarkable awardwinners and was wondering if you would let me put your card up there. Please?